This is the latest episode of the syndicated Dancehall Now podcast produced by Highlanda Sound System for March 27, 2009 featuring the very latest dancehall music in a full stereo radio broadcast format. 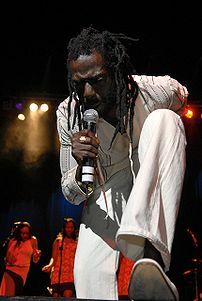 Featured artists this week include Mavado, Busta Rhymes, Wyclef Jean, Damian Marley, The Game, Tarrus Riley, Beenie Man, Erup, Jay-Z, Screechie Don, MIA, I-Wayne, Marcia Griffiths, Busy Signal, Bragga, Buju Banton, Junior Reid, Assassin, Ding Dong, Anthony Cruz, Bounty Killer, Laden, Macka Diamond, Unicorn, Million Stylez, Prodigal Son, and Gramps Morgan. Right Click the file and select “Save As…” to download the entire mp3 file or just click to listen to the audio stream now. We sincerely hope you enjoy the selections. Please send music, press information, comments, feedback, and requests to kahlil.wonda@gmail.com or feel free to comment here. If you like what you hear please subscribe to get automatic updates when new shows are added.